Euro couldn’t start forming an impulse for a new descending movement. We think, today the price may reach a new maximum again. 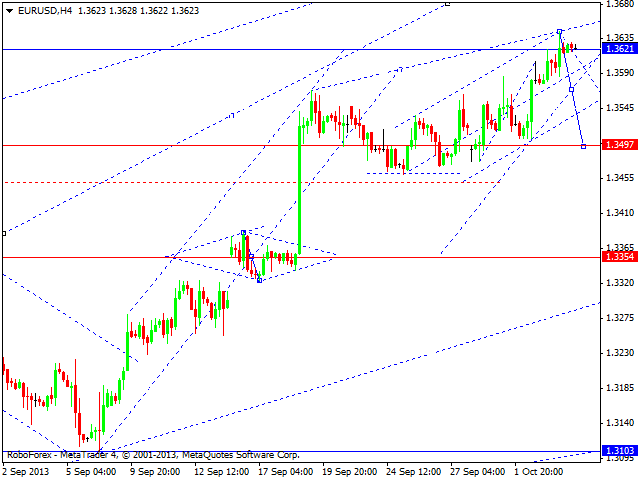 Later, in our opinion, the pair may form a reversal pattern for a new correction (at least) towards the level of 1.3360. Pound completed a descending wave. We think, today the price may form a new ascending structure to reach the level of 1.6300 and then form a pivot point for a new correction. Franc reached a new minimum, but couldn’t form a reversal structure. We think, today the price may reach a new minimum again and then try to form a reversal structure for a new correction one more time. The USD/JPY currency pair completed the third descending wave. 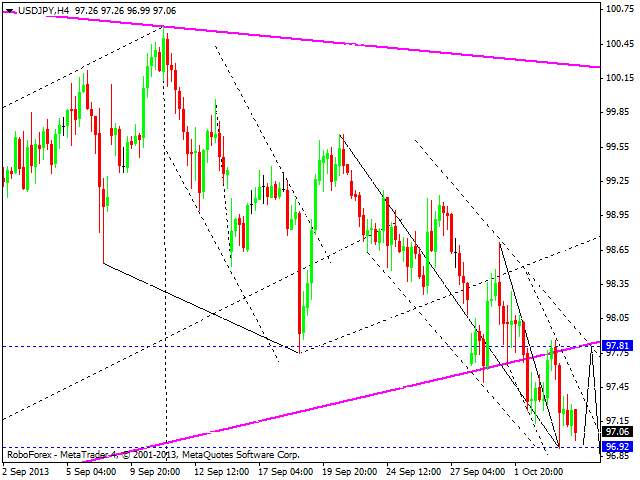 We think, today the price may form an ascending structure to test the level of 97.80 from below. 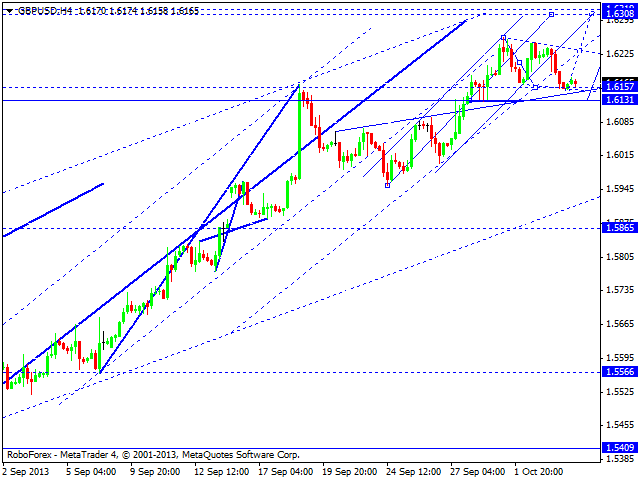 Later, in our opinion, the pair may reach a new minimum again and form a continuation pattern. Australian Dollar completed the five-wave ascending structure. 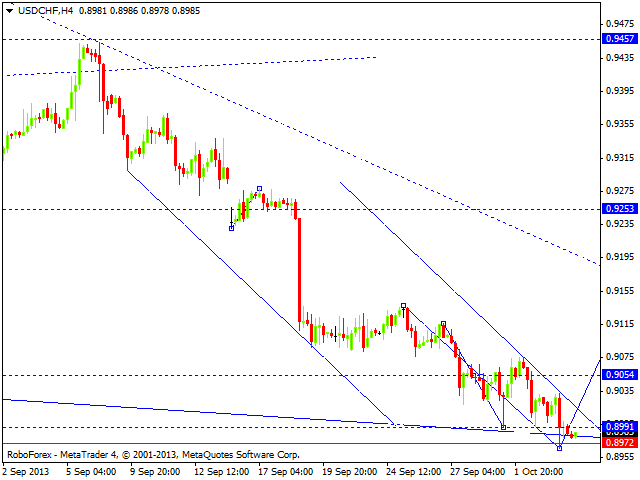 We think, today the price may start forming a new descending movement towards the target at 0.9235. 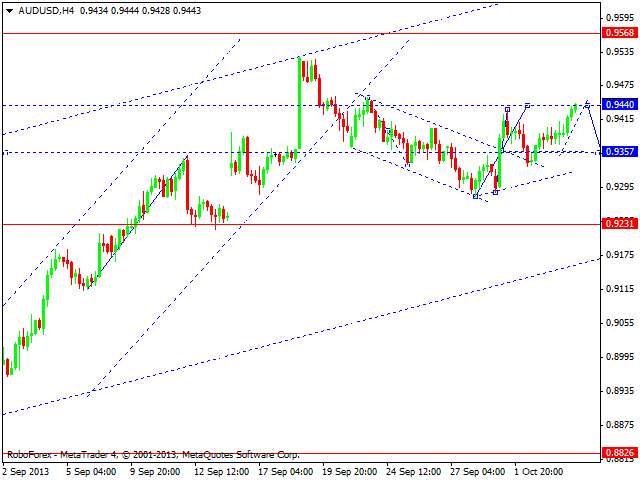 Later, in our opinion, the pair may move upwards to reach the local target at 0.9560. Gold finished an ascending structure. We think, today the price may continue moving downwards. 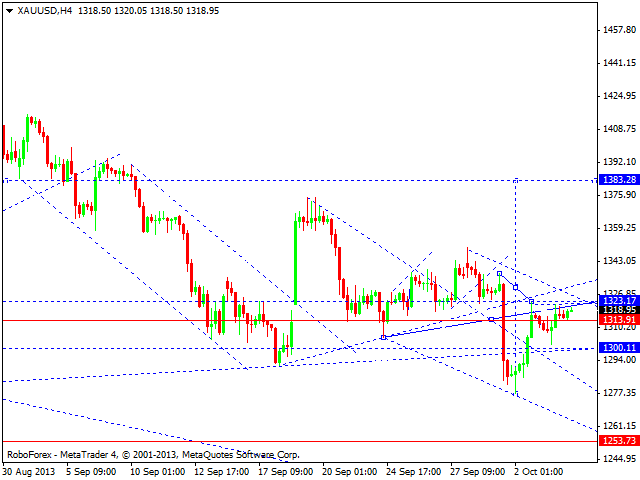 An alternative scenario implies that the instrument may form another ascending structure to reach the target at 1380.